George Sabados is a man of experience, taste and tradition. Of Mediterranean descent, his old world sensibilities have melded with modern-day sophistication to ensure that flavour remains paramount. George and his team deftly meld expertise and science to put Mutch & Moore at the forefront of Australia’s coffee-roasting landscape. George’s humble beginnings started in and around rustic delicatessen, food outlets and coffee shops run by his parents in the seventies, eighties and nineties. As a boy, George was tasked with watching and learning from his mother – who amongst other things tenderly prepared dolmades, spanakopita and creamy soft-pink taramasalata – and his father- who cured and smoked bacon, cultured feta and made his own tangy tomato sauce. George was often tasked with replicating the look and taste of everything his parents were able to make. Their wares were mostly retailed to the public , with young George serving behind the counter and getting a feel for service, customer rapport and retail from the ground up. Intrinsically instilled within him way back then were the myriad joys associated with the sensory gift of taste. As George was taught by his father and mother in respect to food and drink , blandness was not an option. Everything consumed had to evoke joy and amazement. After knocking about the rough and tumble inner city backstreets as a young adult, George attended the University of Sydney and worked every spare moment within his family’s retail businesses, driven by his desire to learn all he could about successful retailing. By now his parents were running coffee lounges featuring clunky espresso machines down the very back of the shops. But back then, only the old leathery men of European extraction seemed magnetised towards the steaming hot espressos. At the time, most of what was being passed off as ‘espresso’ was bitter, burnt tasting and awful on the palate – the deadliest sin of all. George noticed that during the grinding process the aroma of coffee could fill the nostrils, and smell so utterly superb and delight the senses. He wondered then why it tasted so bitterly disappointing? George knew it is a law of nature that aroma IS indicative of taste. And that’s when George had his ‘aha’ moment. Something in the processing was wrong. And he would be the one to remedy it. By the late eighties, espresso slowly began to pique the public’s interest and curiosity. It began to grow exponentially – despite its obvious failings – largely due to the early adopters drinking espressos with milk. Meanwhile, George approached his quest to refine the taste of espresso scientifically; isolating the variables, locking them down, making them fixed points of reference, changing one thing at a time until he hit pay dirt- an espresso devoid of bitterness but oozing full body and flavour, complete with a subtle natural sweetness. He had mastered the art of pouring a shot of esrpesso that could be thoroughly enjoyed by the drinker, and not requiring sugar or a glass of water to wash the mouth out. And this began resonating with the masses. By the mid-nineties, there was no stopping George. In 1998, he claimed the NSW Barista Champion of the year title and the Best Café of the Year Award. That very same year, at just 31, he came in second at the Australian National Championships. George would come in fourth as the best barista on planet earth at the inaugural World Barista Championship held at Monte Carlo in 2001 .He would go on to train three Australian barista champions, two New Zealand champions, and a World Latte Art champion. He was the first person in Australia and be acknowledged globally for his espresso and espresso retailing expertise. In 2001 George founded the Australasian Specialty Coffee Association. In 2004 an espresso coffee product he improved went on to win a 95% approval rating at the SCAA Barista Jam of America meeting against the premium boutique coffee labels of the USA. Since 2001, George has been guest of honour and head judge to a great number of national barista competitions globally, and a green bean tasting judge for several nations. But back to 1998 … George set up the Barista College of Australia, where he came into his own as a coffee connoisseur and expert, inspired by the fact that those at competitions and suppliers alike hadn’t particularly mastered the art of coffee making, nor the necessary skills to run a small business. So George gathered all these components and set up the Barista College to train individuals to do just that, pioneering the first independent cafe training centre in Australia. With his reputation preceding him, he was soon over-subscribed and went on to train over 3,500 individuals and pioneer a new set of standards for espresso for Tourism Training Australia in 2000, which was adopted nationally. More importantly, many small businesses under George’s tutelage also went on to enjoy 100% sales growth within 12 months of completing his courses. George was hired by Foodco Group in 1998, to improve the fortunes of the Jamaica Blue and Muffin Break chains, assisting in overseeing the smooth operation of 300+ stores across the Eastern seaboard and beyond. 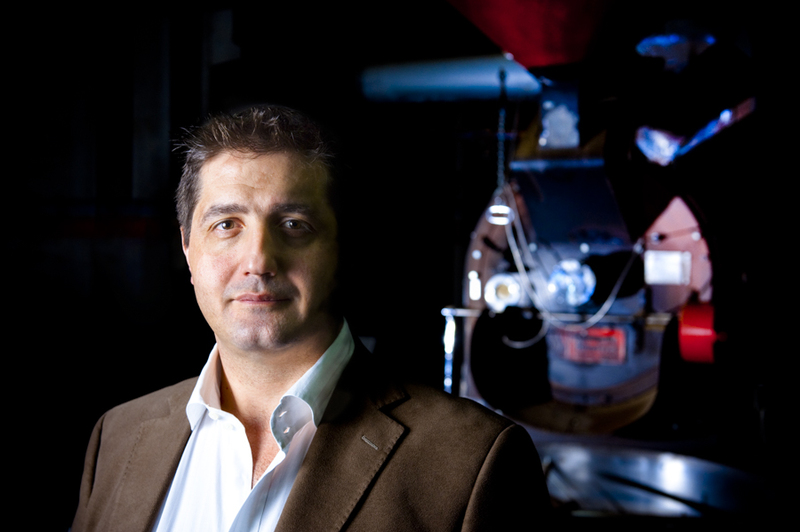 He was eventually poached by Michel’s Espresso and took on the position of General Manager in late 2003 – seeing the growth of the chain from 77 franchise stores to 320, before plunging headfirst into a roasting business of his own. In 2006, George Sabados founded GS Roasting – his very own global coffee company that provides second-to-none expertise and boutique quality espresso to franchise chain, multi store retailers and distributors worldwide. Today, GS Roasting specialises in full body, full-flavoured customised blends designed to grow its customers’ retail sales, and offers additional support designed to increase profit in a sustained way, thanks to the supreme across-the-board knowledge of George Sabados and his skilled team of retail operations experts. Today, George Sabados continues to develop his own businesses, helps to develop coffee growing standards in third world countries, builds brands for himself and clients, perfects blends, mentors, instructs, inspires the coffee business sector. His escapades have taken him to Brazil, Central America, Timor, Indonesia, India, Greece, Italy, Kenya and Tanzania – his taste buds ever alert for creating that perfect blend. Whether it’s down to heritage, hard yards, intuition, tenacity or vast experience, George Sabados enjoys his sterling position at the pointy end of the industry and remains the best coffee industry mentor, franchise leader, coffee industry entrepreneur and coffee roaster in the world today.